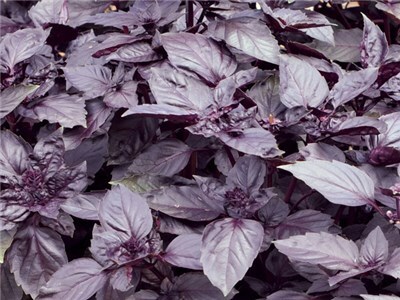 A popular sweet basil with regal, purple-black glossy foliage that gets darker as the plant matures and pale pink flowers. 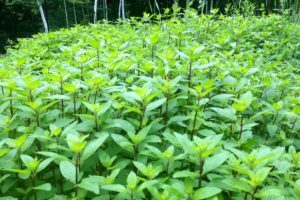 A colourful garden plant that is also perfect in any dish, from tomato sauce to pesto, vinegars and oils, and even tea, there are a variety of uses for this sweet tasting, highly aromatic herb. A perfect combination of ornamental appeal and intense, spicy flavour. Bright light indoors. Good ventilation for seedlings. Herbs do best in a hot, sunny spot. In these conditions they’ll make the highest level of the aromatic oils that give them their taste and aroma. 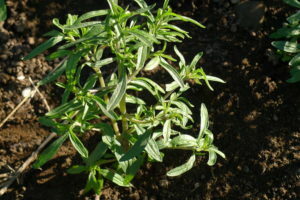 They also prefer well-drained alkaline soil, pH 6-8. Aphids and slugs. Aphids can be washed off with a strong jet of water. Slugs can be removed by hand. Basil is generally quite resistant when outdoors. 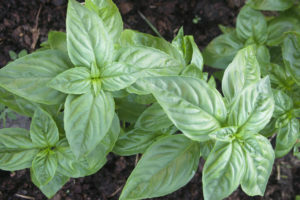 You can grow basil indoors all year. Start indoors in April / May for transplant to garden in June when the soil is warm. 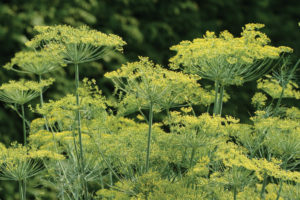 Pinch tips for bushier growth when plant reaches about 15 cm (6″).